Alpolic ® Aluminum Composite Panels - Alpolic ACM | Wrisco Industries Inc.
WRISCO INDUSTRIES INC. is a proud distributor of ALPOLIC®’S ALUMINUM COMPOSITE MATERIAL (ACM). 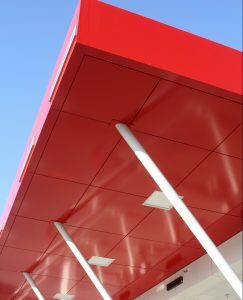 ALPOLIC® panels are available for both exterior and interior applications, and have been used extensively in exterior architectural applications such as building fascia, storefront entryways, curtainwalls, cladding service station canopies and column covers. ALPOLIC® is also the ideal choice for signage, store fixturing, food service merchandisers, kiosks, point-of-purchase displays, trade show exhibits and fascia systems. ALPOLIC®, produced by Mitsubishi Chemical Composites, Inc. is the respected world leader in aluminum composite material technology. ALPOLIC® aluminum composite panels retain remarkable tensile strength and deliver superior flatness, rigidity and stability under changing thermal conditions. Since they are lightweight and easy to attach, ALPOLIC®‘s panel system has proven itself to be the perfect system for building cladding. ALPOLIC® speeds construction times and cuts costs in labor and materials alike. ALPOLIC® provides an ACM that offers the rigidity of heavy gauge sheet metal in a lightweight aluminum faced composite material. ALPOLIC® offers superior flatness, vibration dampening, extreme durability and ease of maintenance. All ALPOLIC® standard stock, corporate identity and preformulated products are available through Wrisco. Enjoy a vast color pallet of Corporate Identity, Architectural and Custom Color options to create memorable masterpieces. 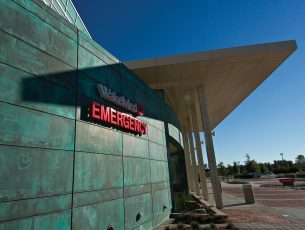 In addition, Wrisco can offer your design project unique architectural finishes such as ALPOLIC®’s Matte, Solid Color, Mica, Metallic, Prismatic, Timber Series, Stone Series, Decorative Metals, Multi-Color, Pattern Series, Natural, Exotic Metals and Anodized.